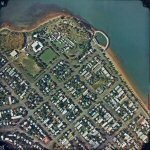 Spatial Services has a range of aerial and mapping products for purchase. 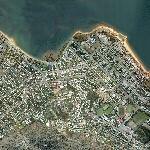 Recent and historical aerial photography of Townsville and Magnetic Island is available for purchase. 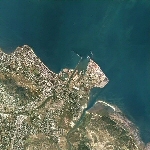 Aerial photographs have been captured of different areas since 1941 and some variation may occur within the areas photographed. Please check your options with our staff or view samples of areas available (including links to flightplans) below . For further details and pricing for all our aerial photography products, please see our Fees and Charges section. Please click on a thumbnail image to view an example of each product. *from the original film or diapositives offer the most accurate reproduction of colour and scale. 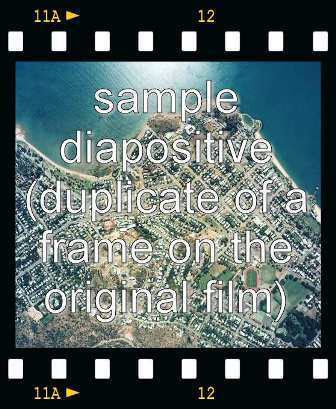 Diapositives are duplicates of the frame from the original film (the equivalent of a negative). A minimum charge applies to all aerial photo contact prints diapositives, and there is a minimum one week delivery time. **Other larger customised sizes also available upon request. 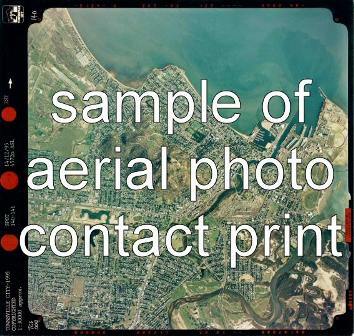 Laser prints/copies of aerial photographs are available in both colour and black and white. Orthophoto maps are laser printed copies of aerial photographs with a scale and north arrow like conventional maps. 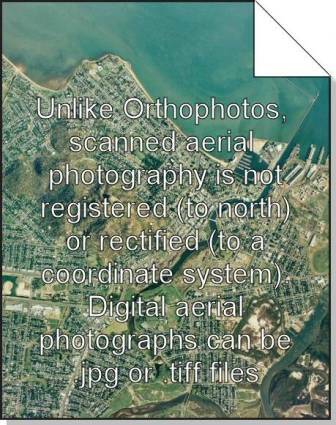 Digital orthophotos are geo-referenced to Coordinate System GDA94 zone 55, and are available as .jgw and .tfw (georeferenced jpg and tiff formats respectively). 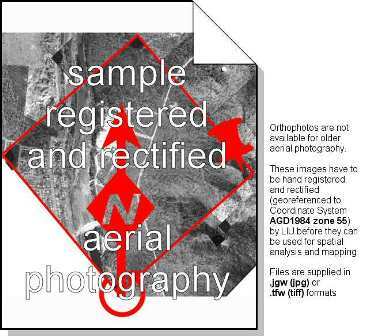 Registered and rectified aerial photos - can be requested by contacting Geospatial Solutions Customer Service who will further outline the processes involved. 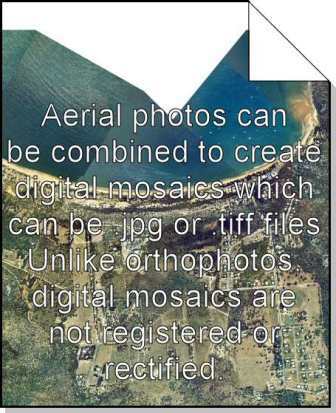 Scanned aerial photographs and digital mosaics are not registered (to North) or rectified (to a coordinate system). They are available in standard .jpg and .tiff formats. Click on the links beneath the thumbnail to view the flight plans (runs) and centre points of photographs. For further information about Aerial Photography Products, please contact Spatial Services on 13 48 10. We have a wide range of contemporary and historical maps available for purchase. Please download the Schedule of Fees for further details and pricing for all our mapping products. These maps can be obtained by contacting council and will be available on our website in the near future. 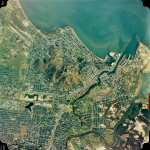 We have historical maps and plans from the Townsville region and beyond from as early as 1865. Historical maps are an interesting record of Townsville's past and make an unusual gift. Please download the Schedule of Fees for further details and pricing for all our mapping products. The listing below represents some of the maps we have available. * The City Plan 2005 and City Plan Maps can also be downloaded from the council's City Plan webpage as PDF files. The Zoning and Strategic Plan maps (which were superseded by the City Plan 2005) were only available for reference until 31 December 2006 - please contact Spatial Services for details. 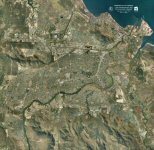 ** The Council's cadastral database is more accurate (+/-0.1m, compared to the industry standard of +/- 0.5m) and more up to date than any other cadastral information available for the Townsville Region. *** We recommend purchasing the Landslip Hazard Study report (available from Planning Services) with landslip hazard maps. For further information about Maps, please contact Spatial Services.